Home > Quest Software, Inc.
Found 4 file extension associations related to JProbe and 4 file formats developed specifically for use with JProbe. 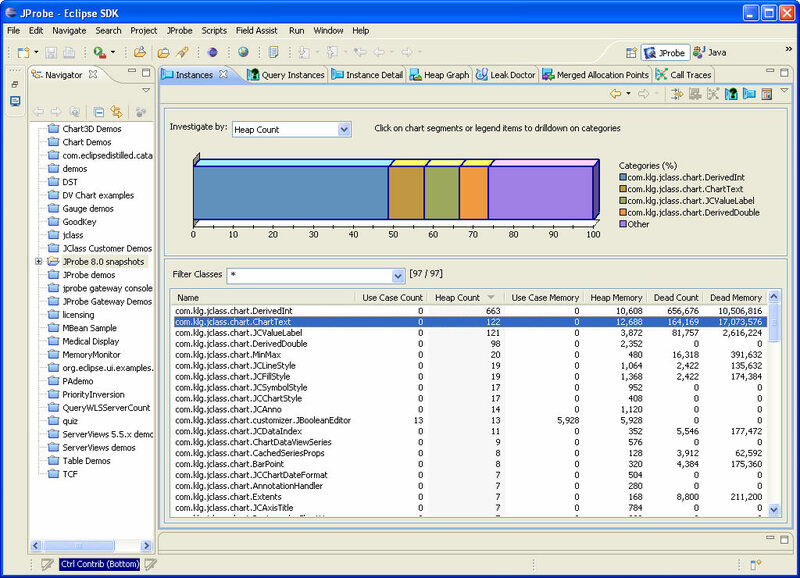 JProbe is an enterprise-class Java profiler providing intelligent diagnostics on memory usage, performance and test coverage, allowing developers to quickly pinpoint and repair the root cause of application code performance and stability problems that obstruct component and integration integrity. JProbe also offers an Eclipse plug-in that provides intelligent code performance analysis and problem resolution directly within the Eclipse Java IDE. If you need more information please contact the developers of JProbe (Quest Software, Inc.), or check out their product website.